Give your Jeep Wrangler JL a new look with the Alloy USA 1.5" Leveling kit. Allowing you to get rid of the rake on your JL with a balanced look. Especially when you add extra weight to your front end with a heavy bumper and winch. 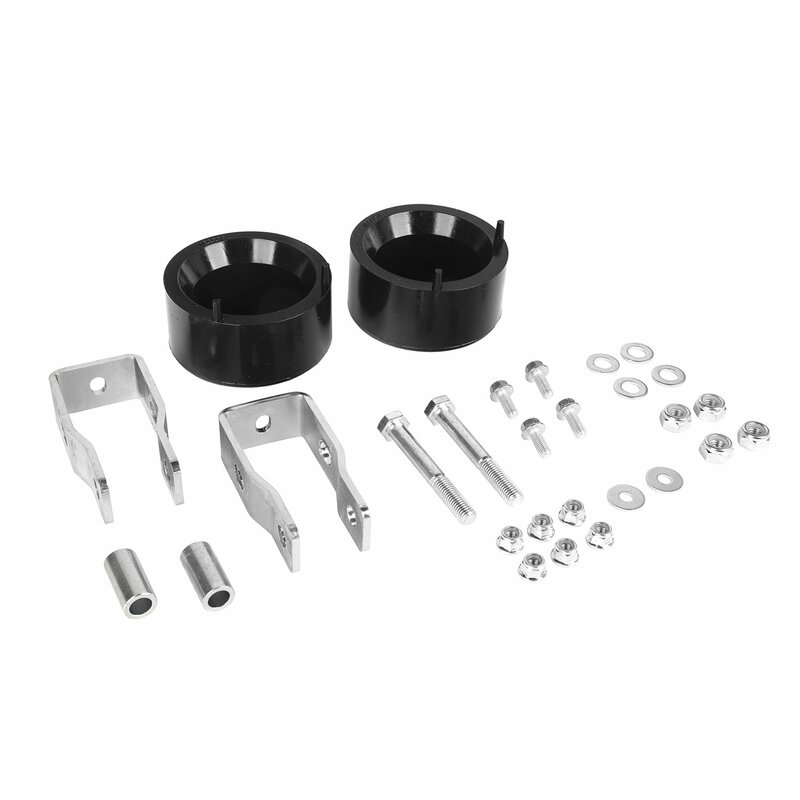 The Kit includes front spacers that are made from a Kevlar infused polyurethane and steel bump stops. Allowing you to fit larger tires to make your Jeep stand out. Level Stance: Lifts the front of your JL 1.5 inches giving your Jeep Wrangler a balanced ride height. Easy Installation: A bolt on kit that can be installed in a few hours. Simple and Effective: Re-using your factory springs and shocks will keep the ride quality close to stock.